This weekend’s Accrington Food & Drink Festival will bring flavours from across the world to the heart of the town. Let your taste buds travel with over 75 stalls of the finest food and drink from France, Italy, Greece, Turkey, Mexico, Malaysia, Nigeria, India – and beyond! The food and drink festival on Saturday 4 June is a FREE ENTRY family event with something to appeal to all tastes and appetites. 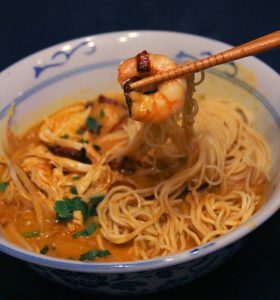 From Malaysian street food to authentic Italian pizza, savoury Turkish treats to Mexican churros, there’s a wide variety of international flavours on offer – plus local dishes too. “I’m an Accrington lad myself and keen for the food and drink festival to be a huge success, as part of our civic pride initiative. We’ve been working hard to top last year’s very successful event, bringing together a food market full of flavour for festival visitors. 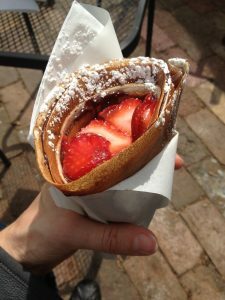 In addition to all the tempting smells and flavours of the food market, there’s a lot more to appeal to all the senses. Watch the live cookery demonstrations in the theatre kitchen on Broadway. Celebrity chef Richard Fox will host a series of demos throughout the day from local chefs, as well as showcasing two of his own original recipes too. Younger visitors to the festival can get creative in the Cakelicious children’s cake decorating competition in Accrington Market Hall. Bugs are the theme of this year’s competition, run by tutors and students from the new Roots Restaurant at Accrington & Rossendale College. It’s free to enter and one lucky winner will receive a sweet hamper from Sweet Treat Designs on Water Street. Children can also get involved in the Dig For Victory seedling planting activity with Incredible Edibles and the Sandy Lane Gardening Group, which is taking place all day in the town centre. A lively World War 2 re-enactment will take place in St James’ Church grounds at 1pm. It could be the last chance to see re-enactors with their deactivated guns following changes to EU rules regarding deactivated weapons. 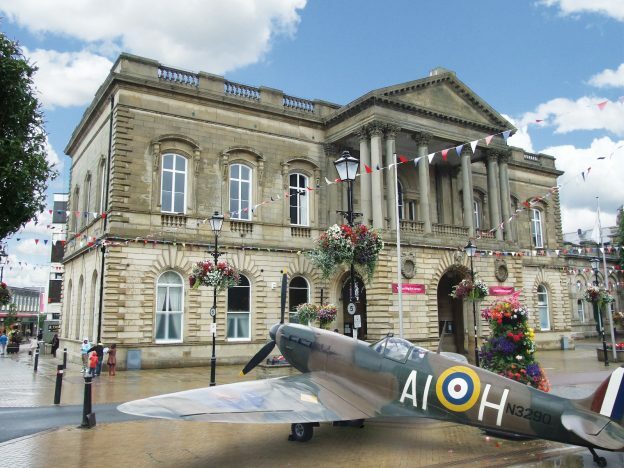 There’s also the chance to see a classic MkIX Spitfire plane outside the Town Hall, celebrating the 80th anniversary of the RAF’s iconic Battle of Britain fighter’s first flight. Plus, commemorating the Accrington Pals centenary, actors the History Men, dressed as Accrington Pals soldiers, will be out and about in the town all day to add to the wartime flavour. And when it’s time to work off some calories, sponsor Simon Jersey’s Ride To Rio bikes will be in the Arndale. As designers of Team GB’s formal outfits for Rio 2016, Simon Jersey has set itself the challenge to pedal the 9,395 kilometres from their offices in Altham to the Brazilian capital. Visitors to the food festival can show their pedal power on the two Ride to Rio exercise bikes. Free transport to the food festival is available on board a beautifully restored 1968 Leyland Titan double-decker bus from pick-up points in Great Harwood, Rishton, Baxenden, Church, Clayton-le-Moors, Huncoat, Oswaldtwistle, Rawtenstall and Haslingden. Full details of the event on Saturday 4 June – including how to book a seat on this classic bus – are available at www.accringtonfoodfestival.co.uk. Festival programmes have also been delivered to around 35,000 local homes and 40 schools. Keep in touch with news from Accrington Food Festival on the event’s Facebook page, or follow @accringtonfood on Twitter and Instagram. This entry was posted in Accrington, food festival, Scott Dawson on May 31, 2016 by admin.